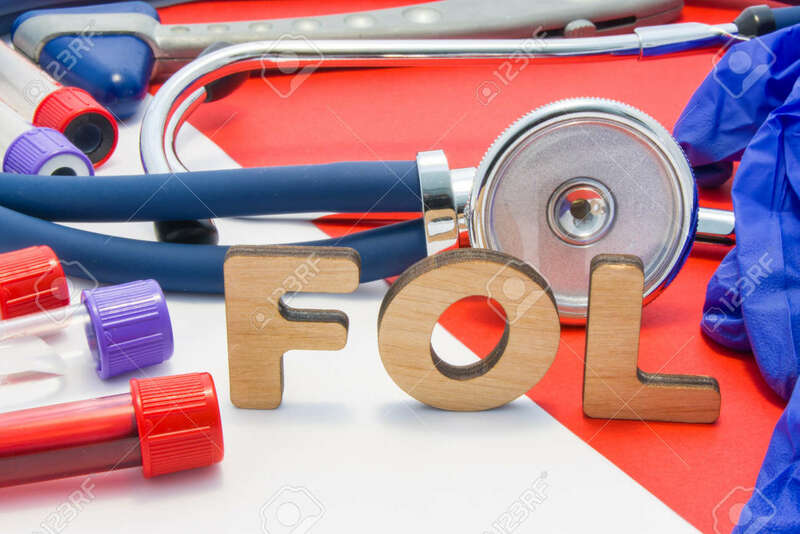 FOL Medical Abbreviation Meaning Total Folate Or Folic Acid In Laboratory Diagnostics On Red Background. Chemical Name Of FOL Is Surrounded By Medical Laboratory Test Tubes With Blood, Stethoscope Royalty Free Stok Fotoğraf, Resimler, Görseller Ve Stok Fotoğrafçılık. Image 118411110.